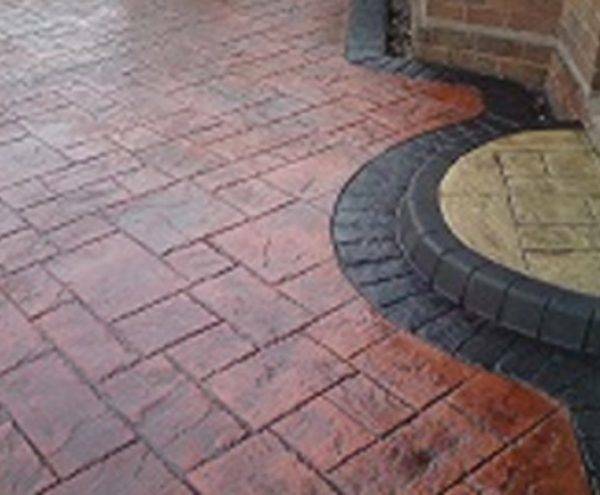 We have over 25 years' experience in driveway & paving installation, your local experts for driveways in Wolverhampton! We use the finest quality materials and designs to suit your property. Cobblecrete Why choose us ? We have been imprinting driveways in Wolverhampton since 1992! Ranging from domestic properties, industrial car parks, and fast food drive-throughs. We are the experts you're looking for! Available for many commercial projects such stable blocks, airports, pub car parks and also domestic driveways or patios. 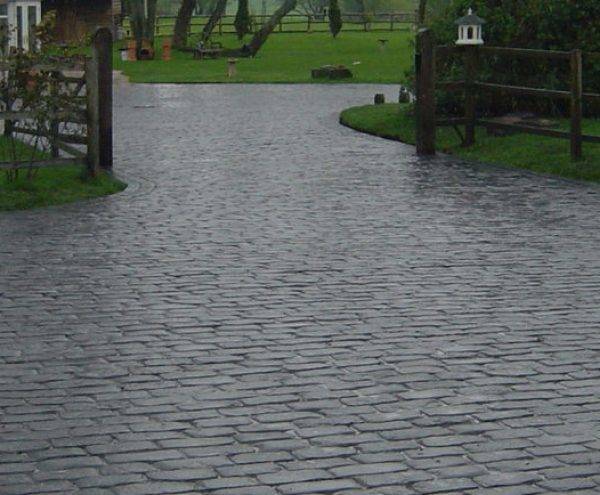 We can supply driveways in Wolverhampton, Tettenhall, Codsall, & Wightwick. With so many designs and colours to choose from, our supply of concrete driveways in Wolverhampton will be the first step for transforming your exterior - using quality materials. I am beyond pleased with my new drive! You have done an amazing job, your attention to detail is fantastic, I would recommend you to anyone. We are so happy with our driveway! The team were professional, on time and delivered a very high quality piece of work. Would happily recommend. Thanks again! Friendly, efficient, professional, reliable. They were a pleasure to have working round the house. Would highly recommend. Thank you Cobblecrete! Did an amazing job with our drive! The team were very friendly and considerate with your work schedule/days that work best for you. Our drive gets lots of compliments already and we would definitely recommend them. They were even happy to show us their previous work around our local area. Fantastic job! From start to the team have been incredibly professional, from sharing his wealth of experience when choosing pattern and colour etc. To keeping us informed at every stage of the process. Always arrived when promised. We are absolutely delighted with the finished job and would have no hesitation in recommending Cobblecrete to everyone wanting a new drive. Amazing job done by these top guys! Had both driveway and patio done and couldn't be happier with the job they have done! Would highly recommend to anyone looking for an amazing drive! Cobblecrete completed our driveway and our fabulous extension which compliments the original one. Their service is brilliant as are the people that work for the company. They are all very hard working, friendly and have produced another great driveway. Thank you so much. The whole team was fantastic and full of ideas on how to utilise the space. Would recommend to everyone thinking of having a concrete print drive. Very happy customer! I absolutely love my Cobblecrete driveway. Eddie and his team were brilliant from start to finish, efficient, professional and friendly. I have had lots of comments on how nice the drive looks and, best of all, no more weeds ever again!!! Fantastic job done by their team, we are absolutely delighted. 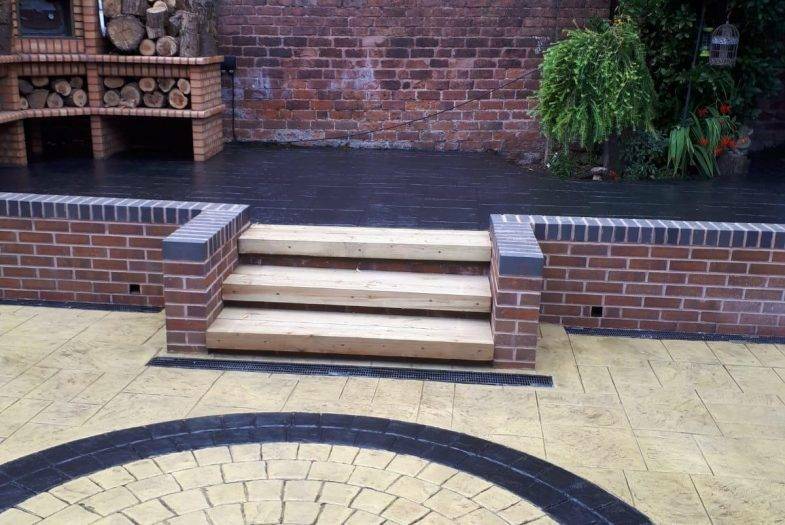 Our team have been building patterned and concrete driveways in Wolverhampton for many years and know what it takes to transform your exterior. 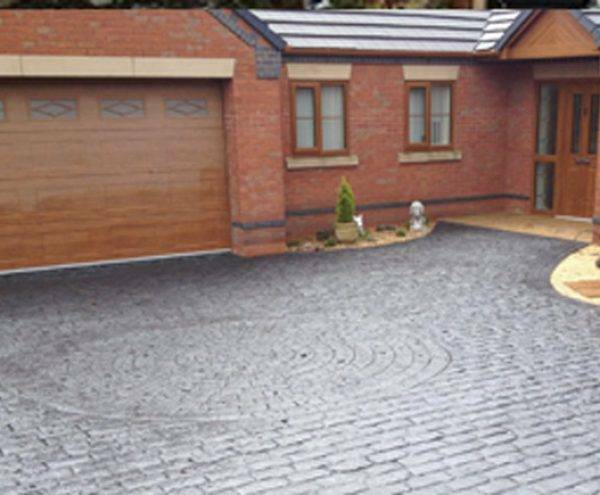 With our pattern imprinted concrete, you’re guaranteed a driveway which will stand the test of time while never going out of fashion. 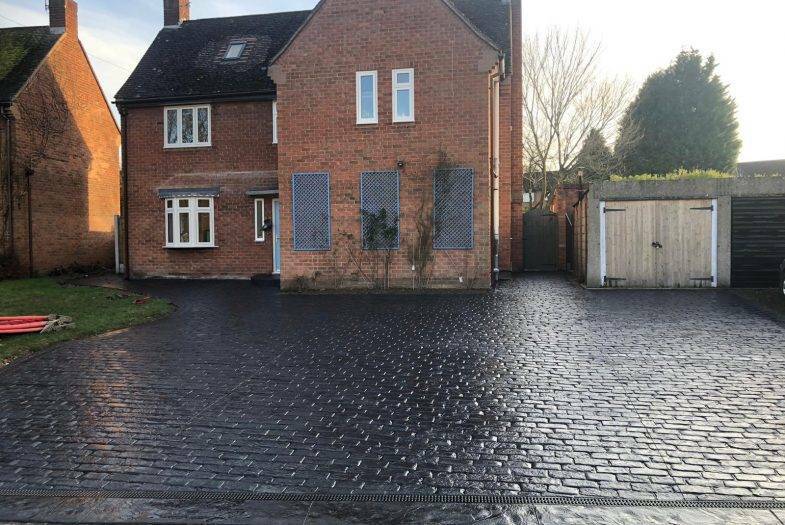 Not only do we make all driveways in Wolverhampton tailored to your home or property, we also use the finest quality materials and durable resources so that the colour of your driveway will look great for many years. Simply let us help you with any design advice and we will give you a driveway like no other! 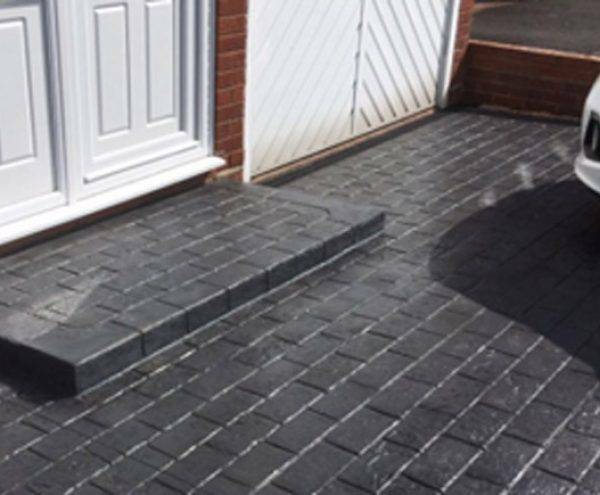 We specialise in coloured driveways and concrete driveways in Wolverhampton, however we can also supply driveways in Tettenhall, Wightwick and Codsall.